The brand's lightest scent, DedCool's Ivy Blanc eau de parfum showcases hints of sandalwood that compliment a shadowy note of pink pepper. Unisex, vegan, and cruelty-free, this fragrance is finished with notes of amber, incense, and soft bergamot. Top notes: pink pepper, sandalwood. Middle notes: oakmoss, amber. Base notes: bergamot, incense. Vegan. Not tested on animals. 3 fl oz/90ml. 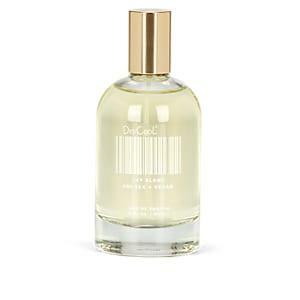 DedCool Women's Ivy Blanc Eau De Parfum 90ml A great designer gift. Shop DedCool at Barneys New York.